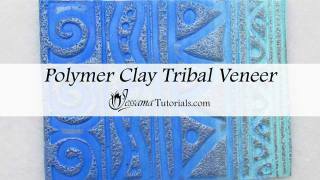 In this tutorial I'll be showing you how to make a tribal polymer clay veneer using a Skinner blend of clay tinted with alcohol inks. 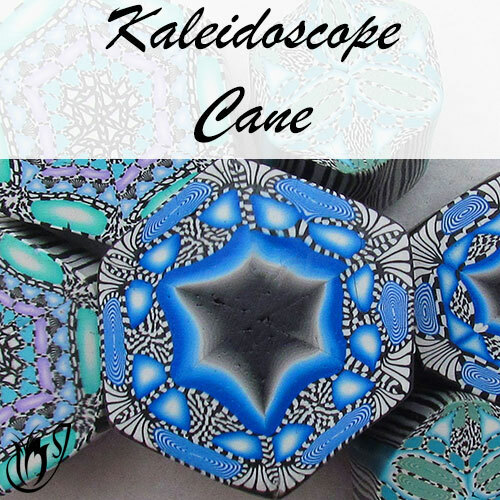 It's fun, easy and can be used in many different projects and designs. 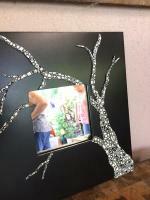 It creates a really pretty veneer. I hope you enjoy it. 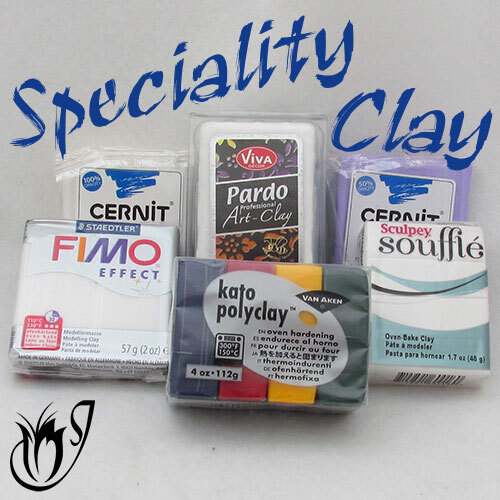 To start you’ll need to condition and roll your clay. You will need two squares of white rolled out at the thickest setting on your pasta machine. 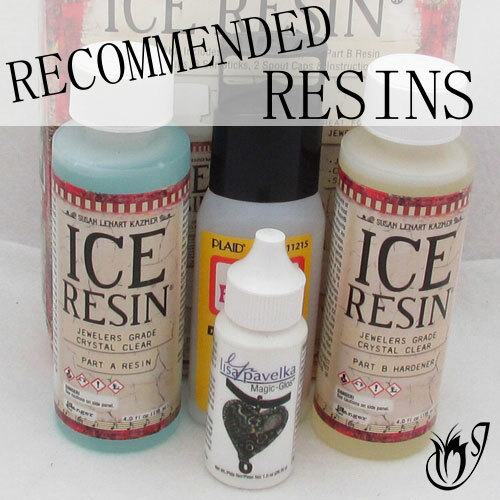 Now take your chosen alcohol inks and drip one color onto each square. I’m using turquoise and indigo. 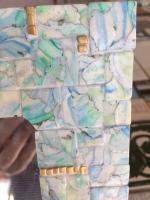 Smear the alcohol ink over each square and let it dry for a few minutes. 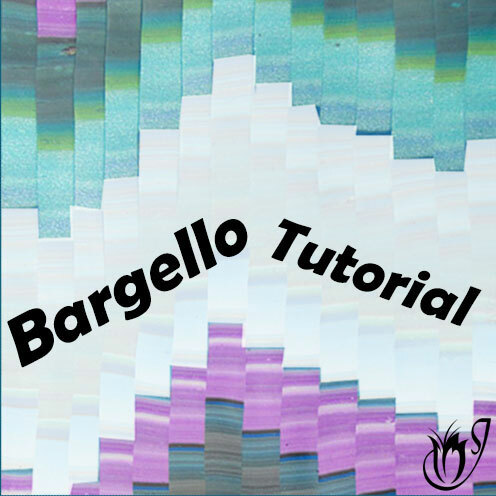 Now fold each square over itself to form a triangle. The alcohol ink side should be sandwiched inside. Now place the triangles together the same way you would for any other two part skinner blend. Run the triangles through the pasta machine to create a Skinner Blend. Continue until your blend starts to form. It’s up to you when you stop, but this time I stopped about half way so that I had a broken Skinner Blend. You could go until it’s a full Skinner Blend if you wanted to. Take your chosen texture stamp and lay it face up on your work surface. Spray it with water. 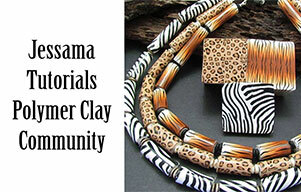 Place your Skinner Blend polymer clay veneer on top of your texture stamp. Use your fingertips to rub silver mica powder over the raised areas of the clay. Texture the raised areas of the clay with coarse sandpaper by pressing it gently over the clay. And that's the easy, fun tribal polymer clay veneer ready to use in your polymer clay projects and designs.